The colour stays fresh for longer as the cover is fade resistant. When your mood changes, you can quickly change the look of your outdoor space with the separate OTTERÖN pouffe covers. Cover:Machine wash, max 40°C, mild process. The best way to extend the life of your product is to clean it regularly and store it in a cool, dry place indoors, or in a storage bag or storage box when not in use. Make sure the product is completely dry before storing it away in a storage bag or storage box. 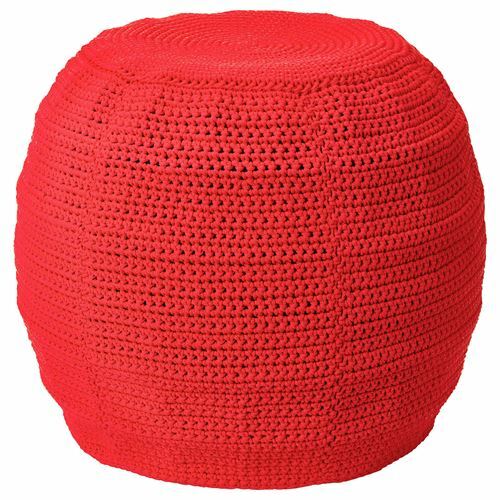 Pouffe cover, in/outdoor:This product is dope-dyed, a dying technique for synthetic fibres, which reduces consumption of water and dyestuff while improving colour fastness compared to traditional dyeing techniques.